With a heavy-duty construction, a lockable lid and a capacity for up to 325 balls, the Gamma Brute Ballhopper 325 ball basket is both solid and durable and has been made to fit through the gates and doorways on tennis courts. 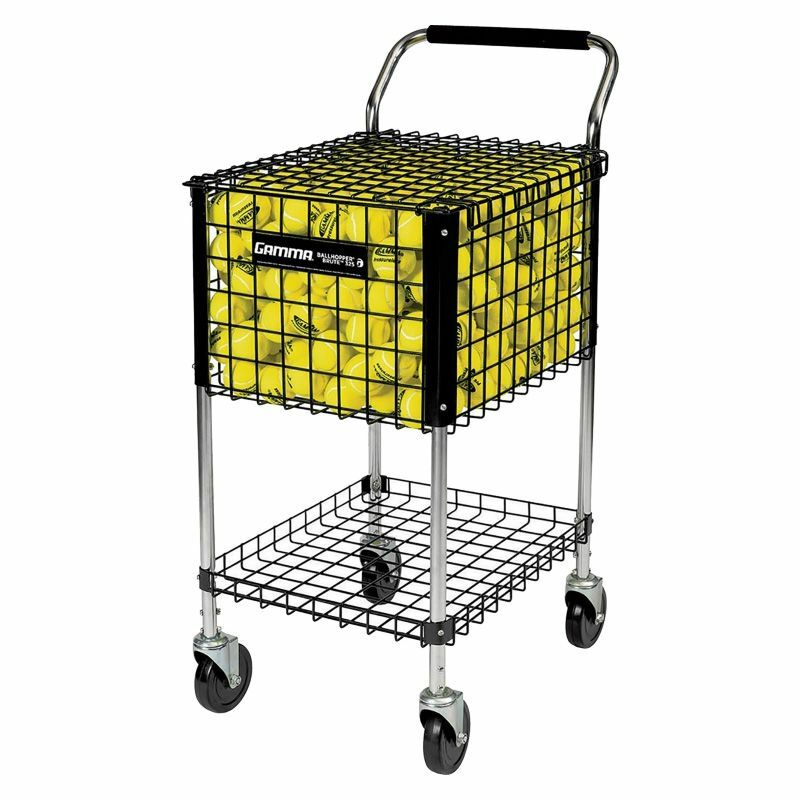 This powder coated wire basket with chrome plated legs features a convenient tray for storage and ensures comfortable transportation thanks to rubber wheels with a ball bearing swivel. There is also a padded handle to provide an improved grip and added comfort. for submitting product information about Gamma Brute Ballhopper 325 Ball Basket We aim to answer all questions within 2-3 days. for submitting product information about Gamma Brute Ballhopper 325 Ball Basket. We aim to answer all questions within 2-3 days. If you provided your name and email address, we will email you as soon as the answer is published. for submitting product review about Gamma Brute Ballhopper 325 Ball Basket.